Marjan is featured in the December issue of Icon magazine. 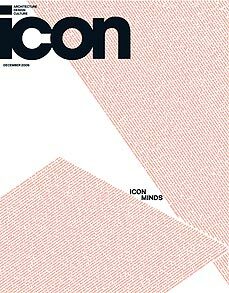 This month, Icon has done things differently. We brought together some of the biggest thinkers in design for Icon Minds, a day of talks and discussions, and in this special issue we bring you our highlights from the event. Novelist Bruce Sterling talks with cutting-edge designers Dunne & Raby about our dangerous and exciting future, Ronan Bouroullec discusses his practice as one of the world’s leading designers, Julien de Smedt tells Joseph Grima about what it’s like to be one of a new generation of super-young global architects and Charles Jencks, Farshid Moussavi and Marjan Colletti debate the revival of ornament in architecture. But that’s not all. Also in the December issue we meet Enzo Mari, the angriest man in design, to hear about where it all went wrong. And we take a trip to a surreal Middle East with photographer Bas Princen. Up front, Rem Koolhaas writes about Stefano Boeri’s unused convention centre for the G8 in Sardinia, we profile Jair Straschnow, one of the interesting prospects from this year’s London Design Festival, and there’s a report from Design Academy Eindhoven’s graduation show. In review, we look backwards – to a lost roadside America with Ed Ruscha, to the bunkers of the Second World War with Robert Kusmirowski and to the 1970s avant garde with James Wines. 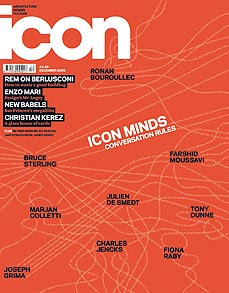 That’s the December issue of icon, out now. Now you can view all the videos from the first icon minds. 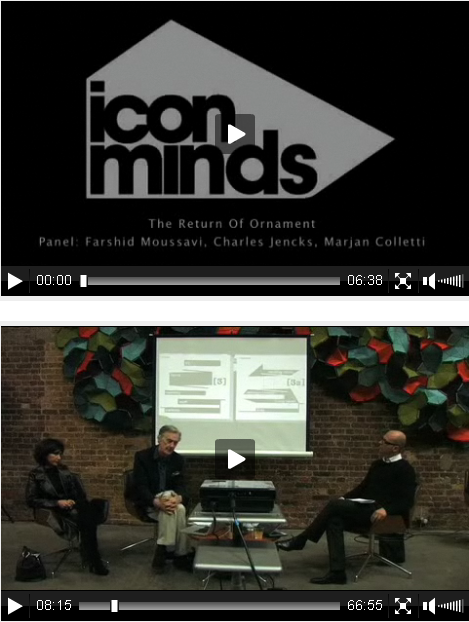 Watch Farshid Moussavi, Charles Jencks and Marjan Colletti discuss the return of ornament; Dunne & Raby and Bruce Sterling talk about design fiction; Joseph Grima and Julien de Smedt on the pressures of running a young and successful architecture practice; and Ronan Bouroullec in conversation with icon's editor Justin McGuirk. All the talks are available in short or long versions.